The final pictures from the Mrs. Isabel Bailey collection have been posted on the Capture Highbridge site. The images were recently digitised by John Strickland, Chairman of North Sedgemoor Local History Group from glass negatives. We’ve been asking for your help on a mystery location and there has been some interesting contributions via the comments. If you have any photos or film that you would like to digitise then pop along to the Engine Room, 52, High Street, Bridgwater. As well as the weekly Tuesday free drop in 2pm – 9pm they are also hosting a special archive exhibition as part of the Somerset Art Works Open Studios Weeks. Until Friday 28th September it will be open 10am – 4.30pm Mon, Wed, Fri and on Saturday 22nd 10am – 2pm. 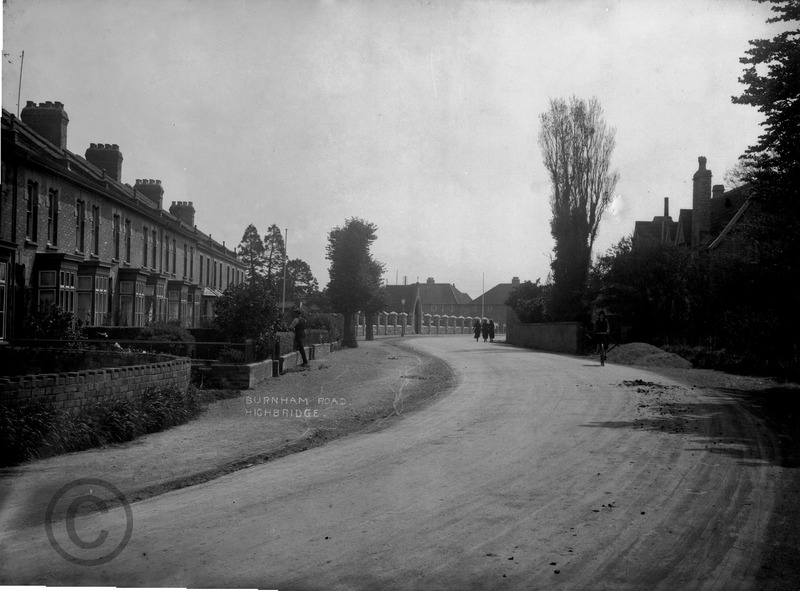 In the meantime, here’s one of the latest uploads – Burnham Road. Interesting to note the absence of trees in the cemetery.